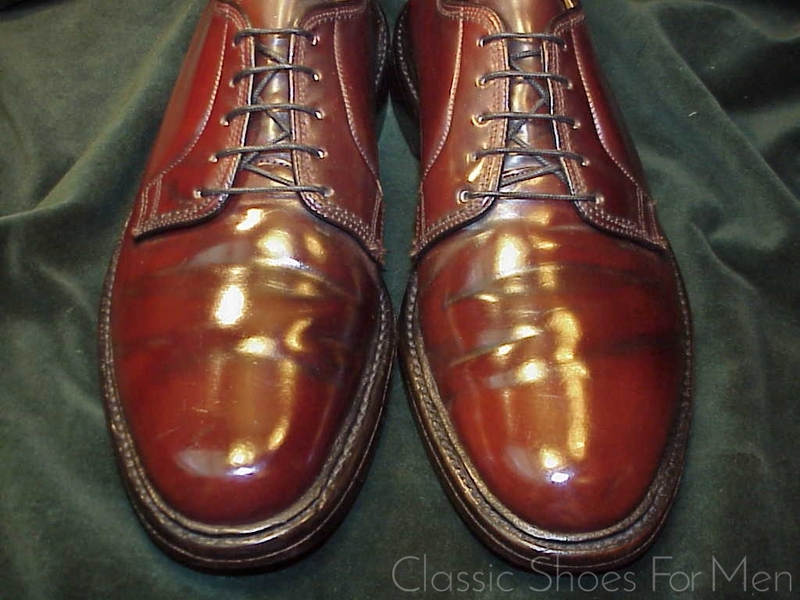 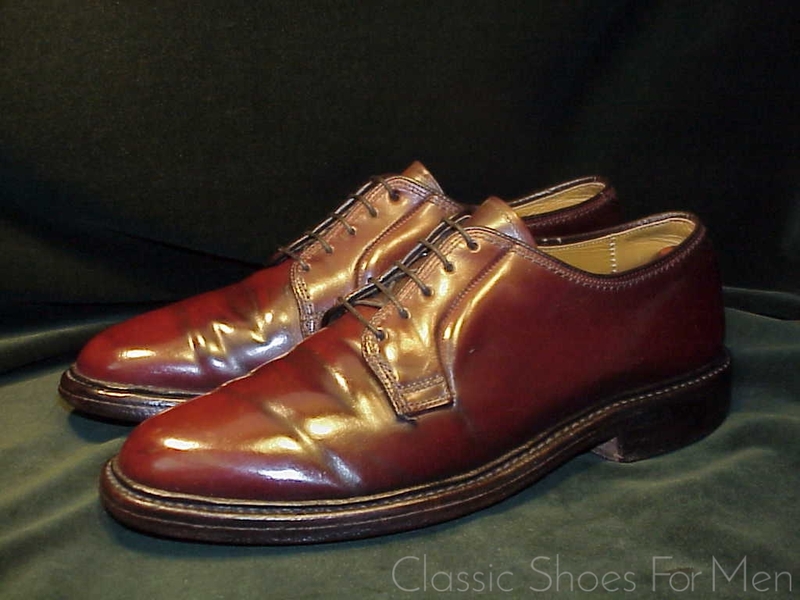 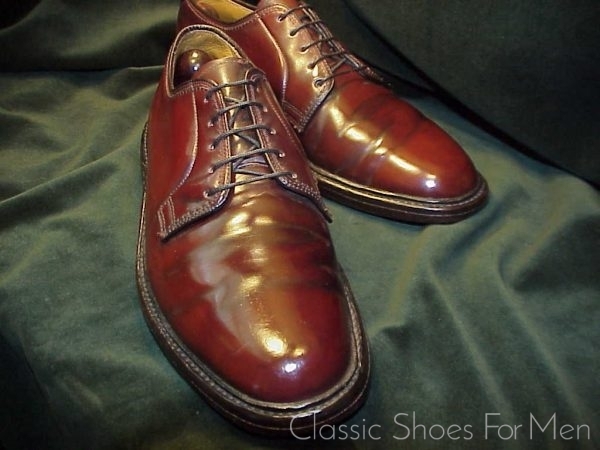 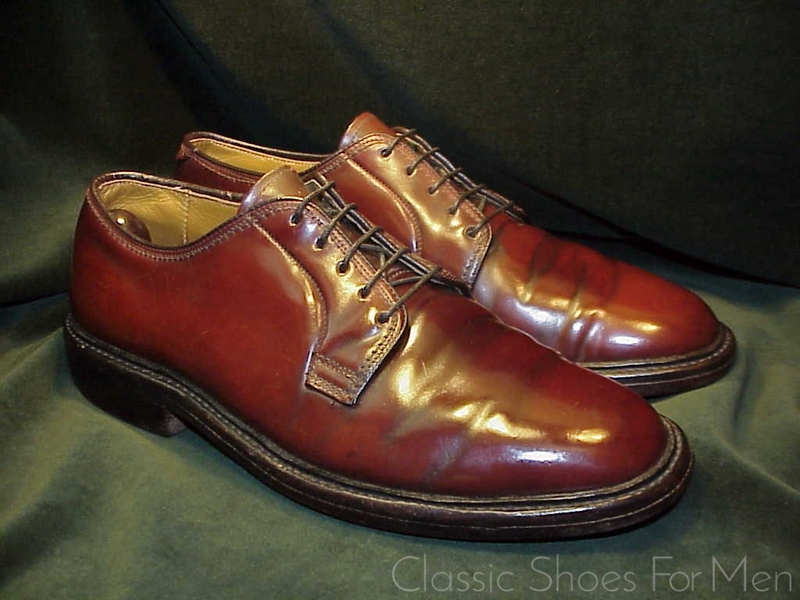 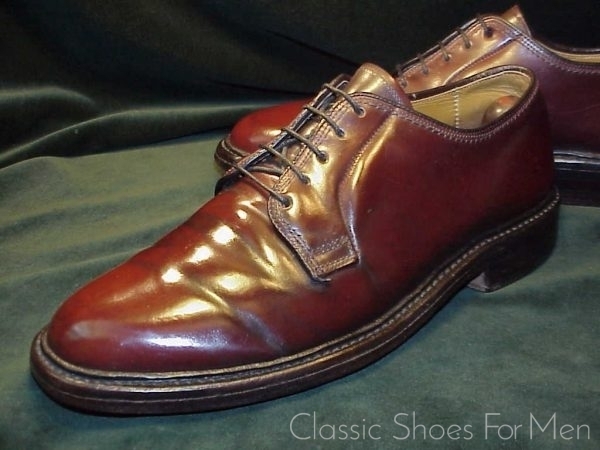 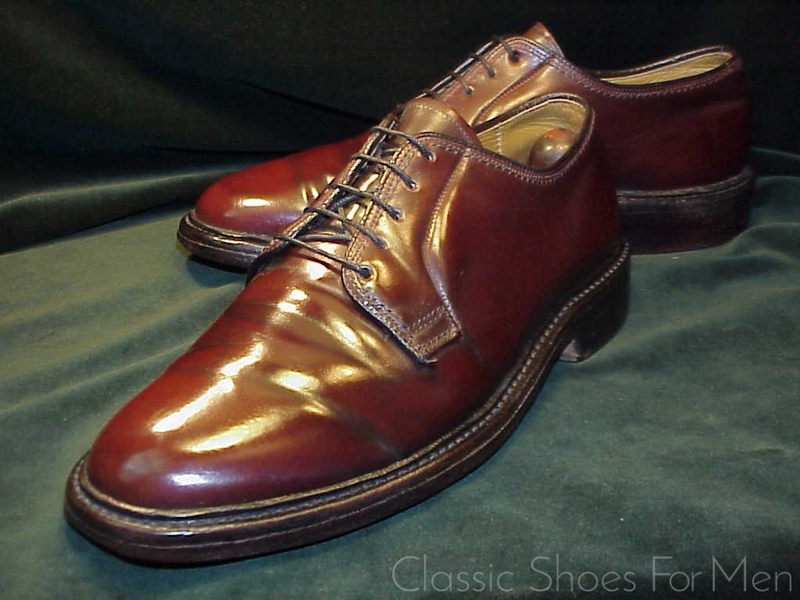 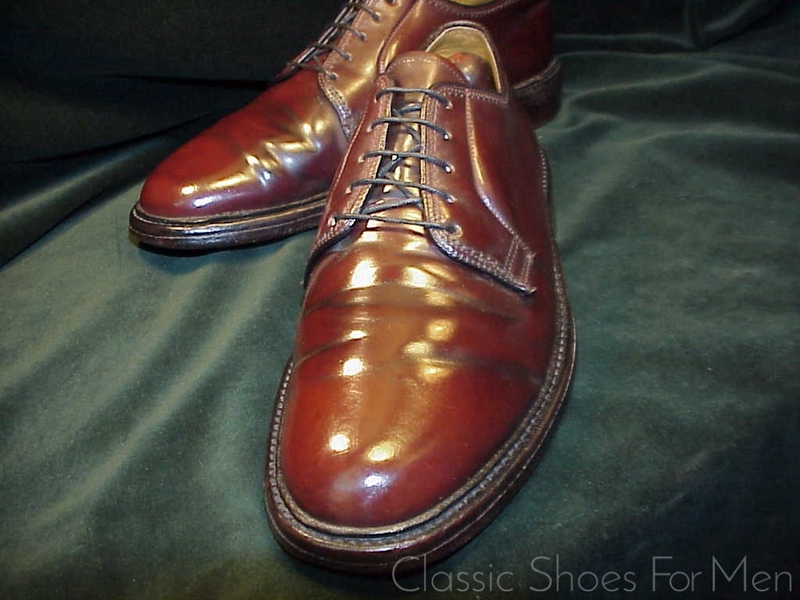 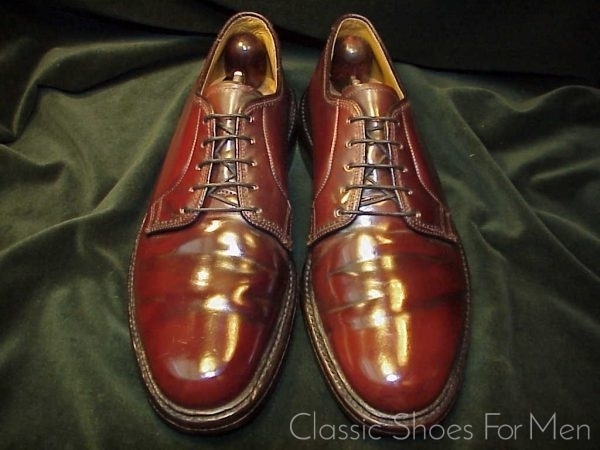 One of the most desirable models throughout the years and beautifully executed here in a lovely piece of Horween Shell Cordovan by this erstwhile American shoemaker. 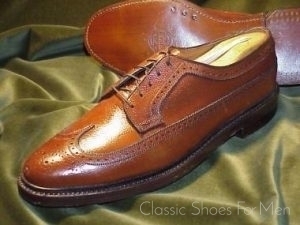 With its riveted, Goodyear welted sole and additional 360 degree storm welt, topped by a hand-nailed “horse-shoe” heel with tri-angular cleat, this is a robust shoe for all-seasons and almost all weather, a shoe meant to last a lifetime and showing little wear, as it does, accountable to live up to that promise. It should be mentioned that this is not a common size nor one that appears often in vintage shoes of this supreme quality. 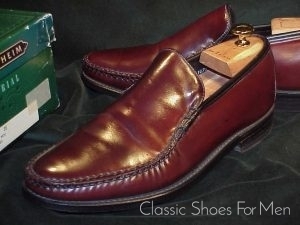 If this is your size; do not hesitate. 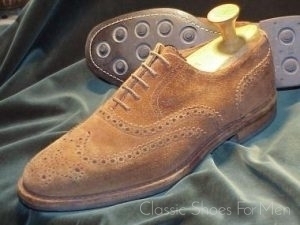 US 7D......UK 6E......Continental 40D, for the medium width foot. 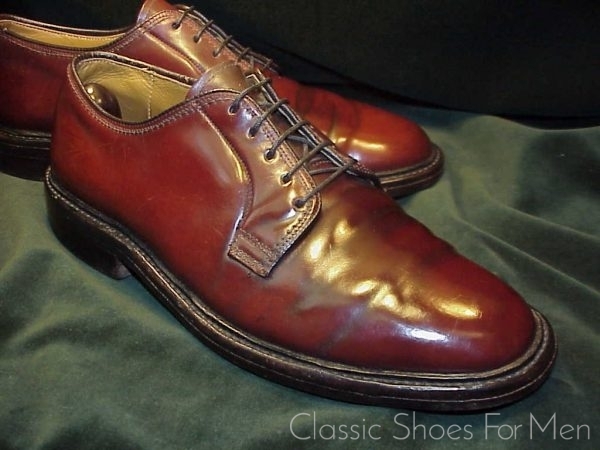 Excellent original condition (unpolished!) 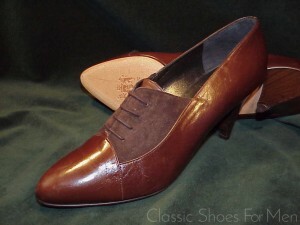 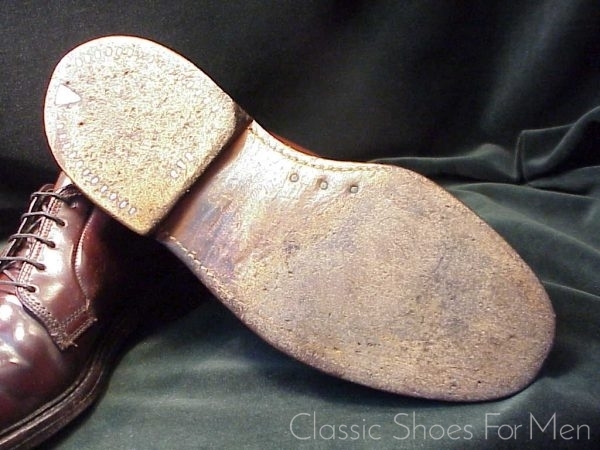 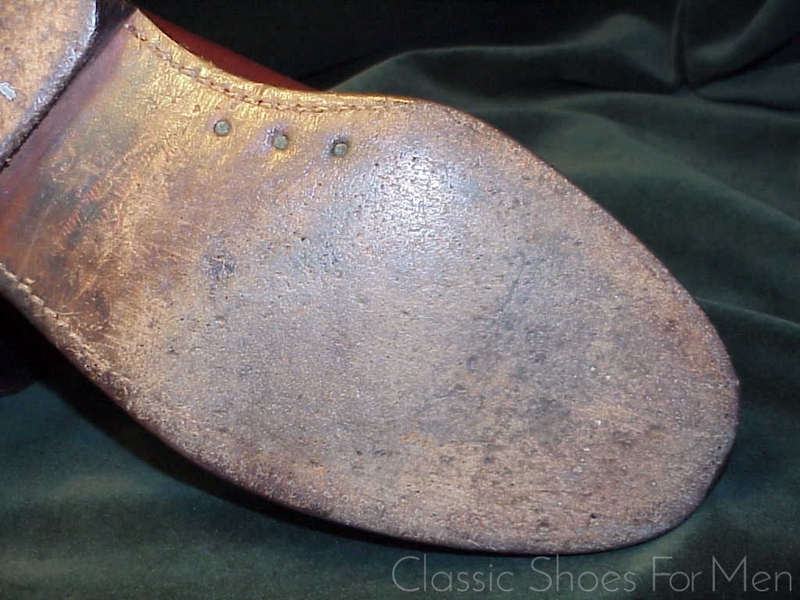 with light wear to soles and heels showing the first trivial rounding. 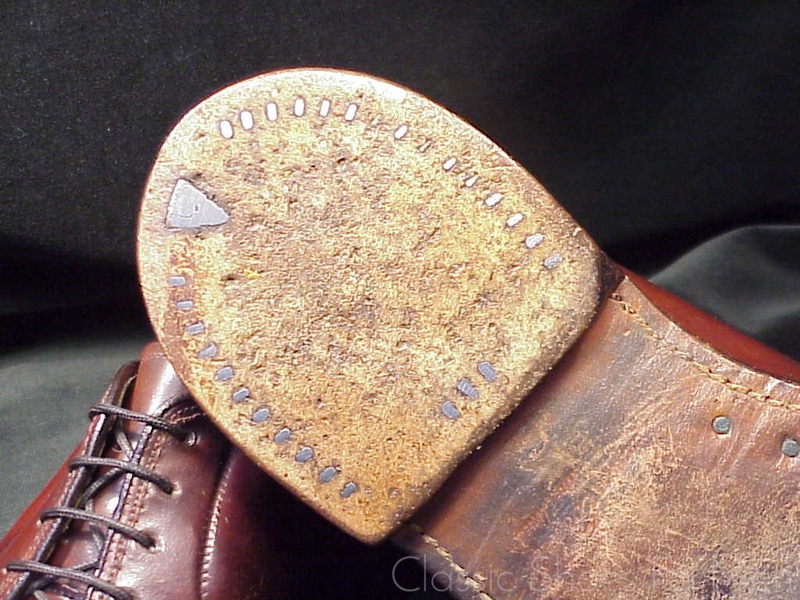 Tops show miner creasing and the beginning of the lovely patina associated with fine cordovan. 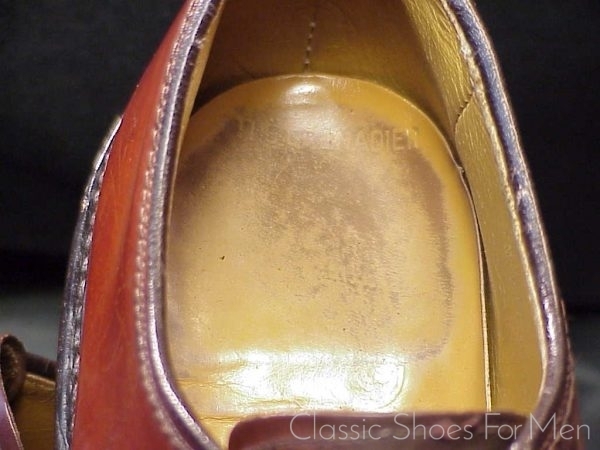 One can only imagine what they will like when polished.